Tranquility, Maine seems like the perfect place for Dr. Claire Elliot to shelter her adolescent son from the distractions of the big city - until a deadly epidemic threatens to destroy everyone she loves. Dr. Toby Harper works the night shift in an emergency room. She spends her daytime hours alone with her mother who suffers from Alzheimer's disease. When elderly Alzheimer's patients from the same retirement home start dying mysteriously, Toby is the only one suspicious enough to investigate. As a result she finds herself, her mother, and her own sanity at risk. She's young. She's beautiful. And her corpse, laid out in the office of Boston medical examiner Cat Novak, betrays no secrets - except for a notebook clutched in one stiff hand, seven numbers scrawled inside. When a second victim is discovered, Cat begins to fear that a serial killer is stalking the city streets: a shadowy madman without mercy or apparent motive. The police are sceptical. The mayor won't listen. And Cat's chief suspect is one of the city's most prominent citizens. Emma Watson, a brilliant research physician, has been training for years for the mission of a lifetime: to study living beings in space. Jack McCallum, Emma's estranged husband, has shared her dream of space travel, but a medical condition has grounded and embittered him. He must watch from the sidelines as his wife prepares for her first mission to the international Space Station. Present day: Julia Hamill has made a horrifying discovery on the grounds of her new home in rural Massachusetts: a skull buried in the rocky soil - human, female, and, according to the trained eye of Boston medical examiner Maura Isles, scarred with the unmistakable marks of murder. Boston, 1830: In order to pay for his education, medical student Norris Marshall has joined the ranks of local "resurrectionists" � those who plunder graveyards and harvest the dead for sale on the black market. 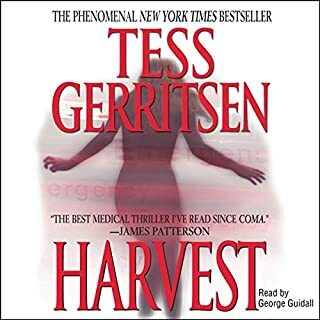 But when a distinguished doctor is found murdered and mutilated on university grounds, Norris finds that trafficking in the illicit cadaver trade has made him a prime suspect. 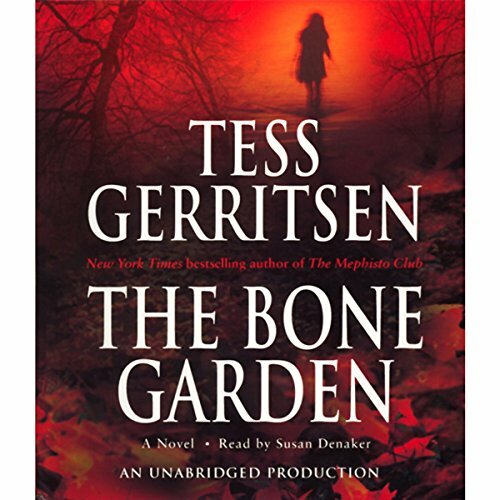 With unflagging suspense and pitch-perfect period detail, The Bone Garden deftly traces the dark mystery at its heart across time and place to a finale as ingeniously conceived as it is shocking. Solve another case with medical examiner Dr. Maura Isles. 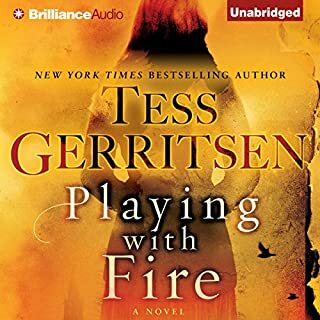 ©2007 Tess Gerritsen (P)2007 Random House, Inc. This book grabbed my interest and didn't stop until the very last word . . . the story was vividly described and made it easy to visualize life in the 1800s. For those of you interested in medicine, you will find the information contained in the story factually accurate regarding the practice of medicine in the 1800s. I'm looking for more books read by this narrator - SHE IS FABULOUS! Definitely worth reading. This book started slowly, but has so many wonderful elements in it. The story was unique, interesting, and enlightening. The writer made me really care about characters from 2 vastly different eras (1830's and current-day), and kept teasing me with chapters that ended with cliffhangers. I had other things to do, and I couldn't stop listening in places. It was well-written, tense in places, and very poignant in others. I highly recommend this book for people who like mysteries with a little intrigue, murder, some noble and not-so-noble behaviors, and a love story thrown in the mix. (There is also a wonderful old man in the story and an awesome dog, too--if you like that sort of thing!) Great story; in fact, it is one of the best I have ever heard through Audible. I love novels like this, where a character in the present discovers a previously unknown story about characters from the past. This story starts with the discovery of very old bones in the garden of a home purchased by a woman who was recently divorced. She throws herself into trying to discover whose bones are in her garden and how they happened to get there. The story mostly takes place in the past, as that is where the mystery is, along with a "Ripper" style murderer who is on the loose. There is plenty of action, drama and suspense. This was one of the better downloads I have found on Audible. A good listen. 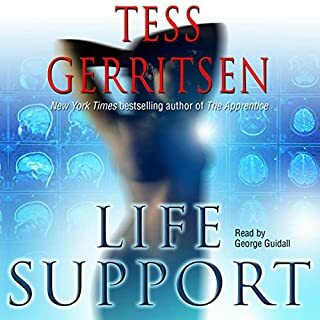 I have purchased a number of books over the years from Audible, and this one has become one of my favorites. 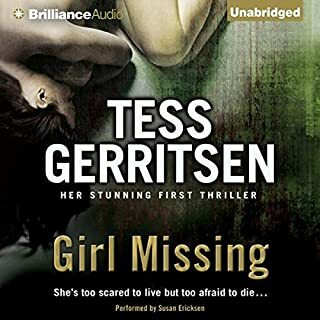 Gerritson combines a number of story lines and characters ably without confusing the listener. Within amount of space allotted, she does an exceptional job of bringing the characters to life and reality. The history is impeccable, the present is believable, and this will be one of the books that I return to over and over from now forward. It is difficult for us in this day to realize the prejudice and poverty that Irish immigrants faced, just as most immigrants to the United States have over the years. Now many of us point to our Irish ancestry with pride. The addition of people from history that we recognize, such as Oliver Wendell Holmes, is a flash of genius. I had forgotten that he was a physician as well as a poet. The Bone Garden is about two mysteries. In the present day, a woman finds a old skeleton of an unidentified woman in her garden. In the 1830's, a serial killer is on the loose in Boston, and this book ties the two stories together. The main characters are medical students and immigrants in early 19th century Boston. The characters are interesting and engaging, the story is exciting, and the historical details are fascinating. The book is well-read, or rather performed. I found myself avoiding the NFL and missing my usual bedtime listening to this book. I enjoyed this book as much as any audio book I have ever purchased. It is well worth the time and money. I walked around with my ipod attached to my ear. I could not put it down. For all my fellow history buffs, this is such a wonderful story, taking you back and forth 100 years in such an effortless manor, you felt a part of two worlds at the same time. I just loved this book. This was my first book by this author...but definitely not my last. The author makes the transition from present day to the 1800's seamlessly. Very well done. I also enjoyed the reader. This book will keep your interest and make you care about the characters! This book is intelligently written, engaging and keeps you listening. I thought the past and future vignettes were well done; never jarring. While I often wish for deeper character development, I was not disappointed by this book and the plot was intelligent and historically-oriented. I appreciated the multiple layers of crime, historical reference, and character relationships. Excellent listen. I really enjoyed this book, though I'm a Maura Isles fan and she was just the bait to get me to buy I still loved it. The back story and history were really cool and interesting. I didn't want to put my Ipod down. The author takes you on a journey through history that has you feeling as if you were there. You can appreciate the struggles of the working class during that era. The narator is good but sometimes had the same sounding voice for different characters which sometimes made it hard to follow. Overall a great read.